This review originally appeared at TheNewYorkTimes.com. 323 pp. Simon & Schuster. $28. Speaking last September in Vientiane, the capital of Laos, Barack Obama mentioned a staggering fact: that the United States had between 1963 and 1974 dropped two million tons of bombs on the country, more than the total loosed on Germany and Japan together during World War II. That made Laos, which is slightly smaller than Michigan, the most heavily bombed nation in history, the president said. 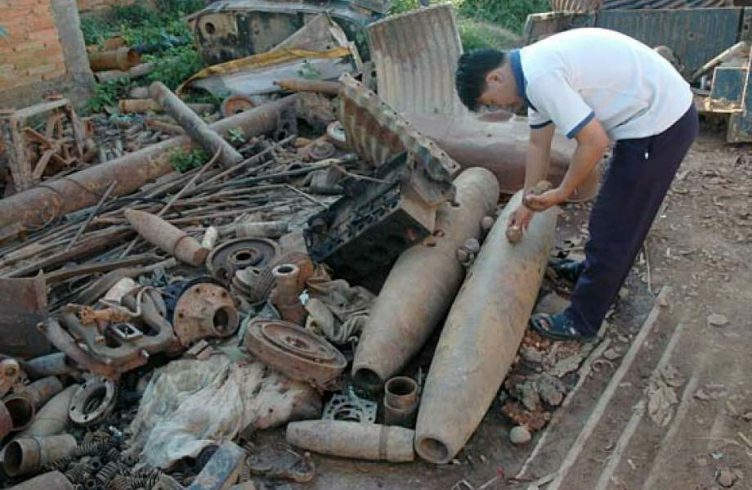 More than four decades after the end of the war, unexploded ordnance is still killing and maiming Laotians, and Obama announced that he was doubling American funding to remove it. These aging bombs are just one legacy of a brutal war that most Americans recall only vaguely, as an adjunct to the conflict in Vietnam. Joshua Kurlantzick’s engrossing book, “A Great Place to Have a War,” titled after one old C.I.A. hand’s sardonic remark, is a sobering account of the American engagement in Laos and timely reading today. The era of American military involvement in Southeast Asia prefigured in several ways the wars of the last 15 years. Then, as now, the United States intervened repeatedly in a troubled region to counter a menacing ideology — then Communism, now jihadism — at a huge cost in human lives and spending, and with dismal results. The use of the C.I.A. sometimes allowed the fighting to be hidden from the public, in Laos as in Obama’s drone program in Pakistan and Yemen. Drug trafficking and corruption tainted American allies in Laos, as it has more recently in Afghanistan. And disastrous defeats meant moral pressure on the United States to accept as refugees locals who had collaborated with the Americans: then Hmong rebels, today Iraqis who worked as wartime interpreters. The Laos story has been told many times, in memoirs, academic and popular books, and even internal C.I.A. studies that are now public. Kurlantzick has drawn on these accounts, but he has also managed to get interviews with the memorable characters around whom he builds his story. There’s a C.I.A. officer with deep knowledge of the languages and cultures of Southeast Asia, Bill Lair, whom he portrays as admirably devoted to doing what was best for Laotians. (Lair ended up so disgusted with what the American war had turned into that he left the C.I.A. and became a long-haul truck driver in Texas.) There’s Anthony Poshepny, better known as Tony Poe, an alcoholic C.I.A. paramilitary officer who fought with daring and with shocking brutality in the Laotian jungle, beheading enemies and putting their heads on spikes. There’s Bill Sullivan, the United States ambassador, whom Kurlantzick portrays as an ambitious bureaucratic climber with little genuine interest in Laos or Laotians, a sort of prototypical ugly American. 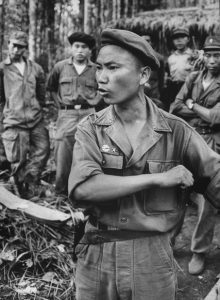 And there’s Vang Pao, the canny, driven, probably corrupt general of the Hmong, the hill tribe that did most of the fighting against Communist Laotians and their North Vietnamese patrons. Since Kurlantzick interviewed them, all four of his main characters have died, which makes his research over more than a decade even more valuable. It was in part Vang Pao’s relentless demands for air support that eventually led to American bombing on a barely imaginable scale, erasing large swaths of Laos’s landscape and killing 10 percent of its population. In his first presidential term, Richard M. Nixon escalated the bombing from about 15 sorties per day to 300 per day. “How many did we kill in Laos?” Nixon asked Henry Kissinger one day in a conversation caught on tape. Kissinger replied: “In the Laotian thing, we killed about 10, 15” — 10,000 or 15,000 people, he meant. The eventual death toll would be 200,000. If Kurlantzick’s thorough and affecting account is missing anything, it is his own conclusion about exactly where and how the United States went wrong. Was it in January 1961, when President Dwight D. Eisenhower warned his successor, John F. Kennedy, that Laos was the “cork in the bottle” holding back Communism from the rest of Asia? Was it in the 1950s, when the first C.I.A. officers arrived? Or was it when the bombing began? Even if Kurlantzick doesn’t offer an explicit judgment, his book shows how critical it is for American leaders to be cleareyed about their purposes and honest with their public before embarking on a war that will inevitably take on a gruesome momentum of its own.